Learning through play is a great way to help young children to develop their social, physical and intellectual skills. It encourages them to get creative and imaginative. Bath time is the time where you get to reconnect with your children. At times, it can be stressful but it can be fun too using toys that won’t break the bank! Meadow kids recently sent me a bath time Mermaid floating activity set for review. It comes in five different themes: farmyard, mermaid, treasure island, diggers & dumpers and mermaid. 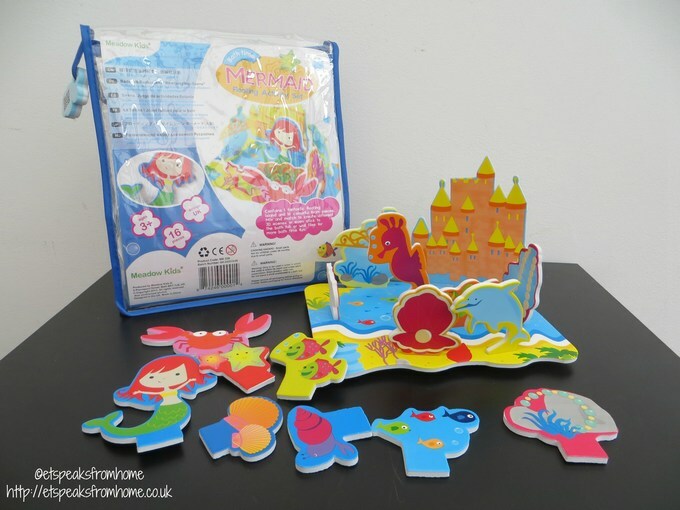 This Mermaid set comes with one floating island with 16 colourful foam pieces e.g. crab, fishes, seashells and seahorse. Each foam piece is very well made with bright colours. They are easy to slot into the floating island. It is definitely great for girls who love mermaids! Ms C loves this set as she can pretend the Mermaid in the set is Ariel which is one of her favourite Disney characters. You might think that this is just bath foam and there is not much fun in it. But you would be wrong! 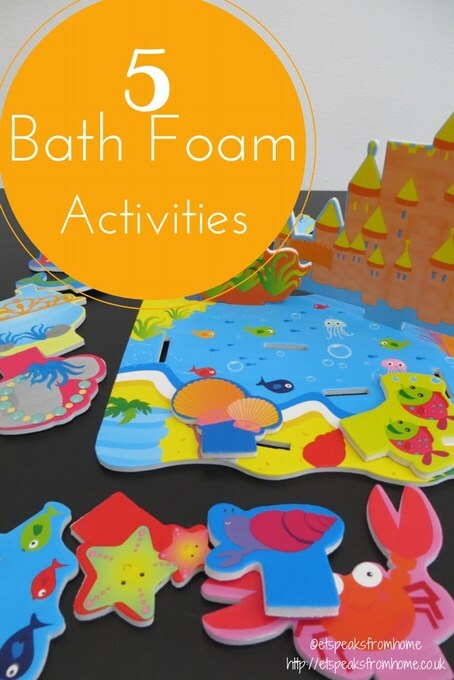 You can make up your own game using these bath foams! Create a story: Get your child/children to select one of the creatures to be the hero and monster. Then select a place which could be underwater or land. Next, ask them to select a period in time like the present or once upon a time or the dinosaur era! Then let the story begin! If you have more than one child, get each child to think of a sentence. It is a great way to have fun while letting their imagination run run wild! 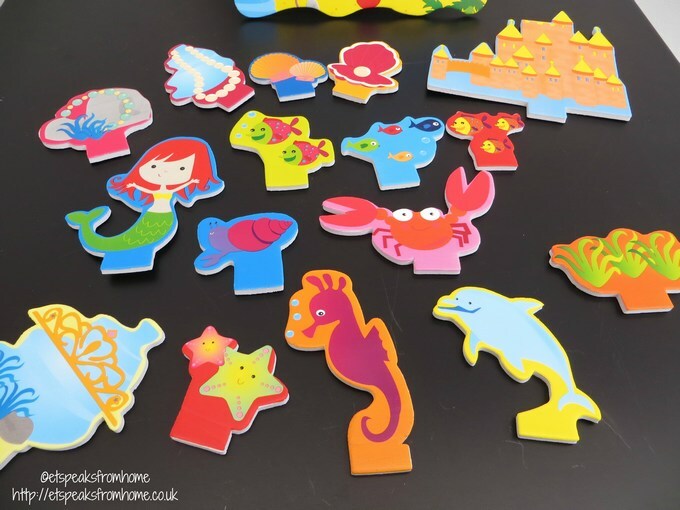 Name the sea creatures: Lay out all the bath foams on the bathtub or tiles and ask them their names or give each sea creature a name. Amphibian: Ask them to guess which sea creatures can go on land. Sorting activities: Get them to sort out which sea creatures comes with shells and without shells. Put in order by size: Get them to sort out the sea creatures from small to big in their real life form and not according to the bath foam size. 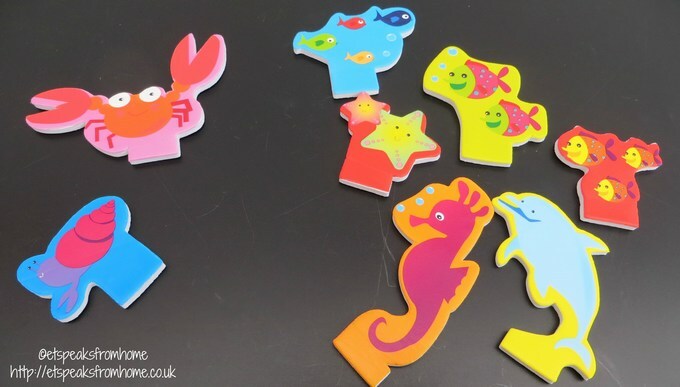 This is a great way for them to learn about sea creature’s shapes and sizes. So bath time can be also be fun and a great time for learning too! Hope you like my play activity ideas.